The European Commission has approved the LIFE proposal “Conservation of Black and Griffon vultures in the cross-border Rhodope Mountains”, developed by Rewilding Europe in partnership with Rewilding Rhodopes Foundation, Bulgarian Society for the Protection of Birds/Birdlife Bulgaria, WWF Greece, Vulture Conservation Foundation and Hellenic Ornithological Society/BirdLife Greece. Black vulture in flight, Rhodope Mountains rewilding landscape, Bulgaria. The project will focus on the recovery and further expansion of the black and griffon vulture populations in this part of the Balkan region, mainly by improving natural prey availability and reducing mortality factors such as poaching, poisoning and impact of power lines. 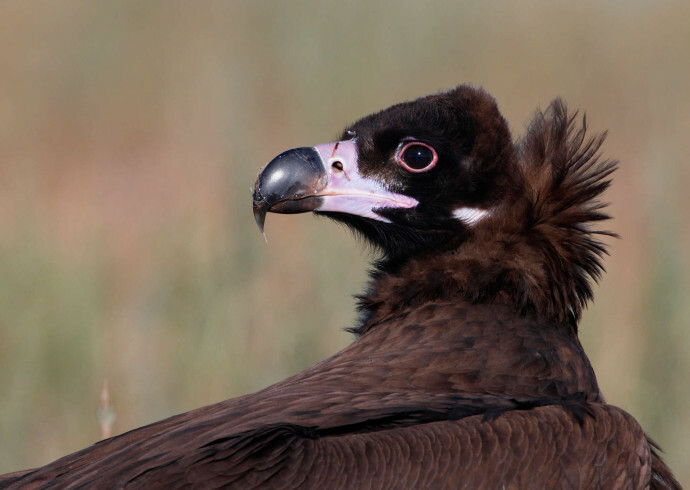 Currently, the black vulture numbers only 2,125 breeding pairs in four EU countries (France, Greece, Portugal and Spain) of which 97% is confined to Spain. With only one colony left in the whole of the Balkans, efforts will be made to protect and increase this last breeding colony in the Dadia Forest, in the Greek part of the Rhodope Mountains. 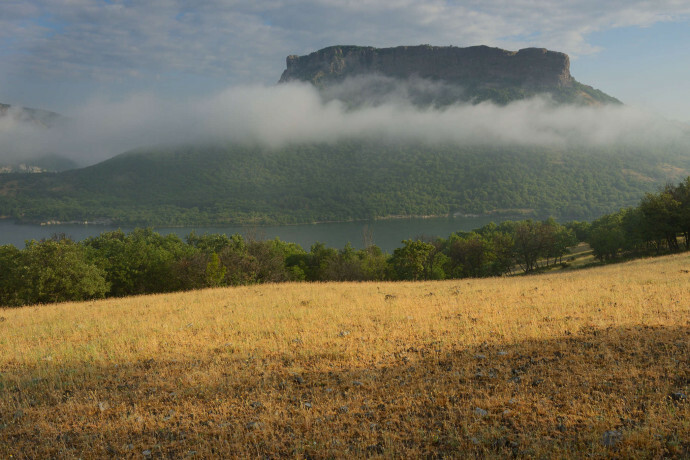 Similarly, the project will contribute to the conservation of the only native griffon vulture population in Bulgaria and the few remaining breeding pairs in Greece. 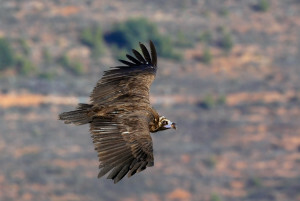 The main objectives of the project are to increase the knowledge of mortality factors, threats and dispersal of both vulture species; to reduce disturbance, poisoning, direct persecution and lead poisoning; to increase the availability of food; to enhance stakeholder support including promoting local business related to vultures and wildlife; to increase awareness of vulture conservation and to facilitate cross-border cooperation. 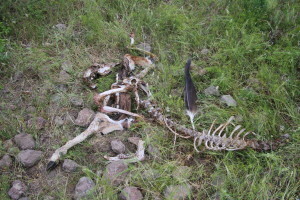 To achieve this, a large number of actions is planned for, including studies about dispersal and movements of vultures (20 black and 20 griffon vultures will be equipped with GPS transmitters); increase food availability through wild prey releases such as red and fallow deer (which through wolf kills leads to carcass availability); creating a trained dog unit to locate poisoning cases; a children’s programme at the Vulture Information Centre in Madzharovo; support of local businesses linked to vulture watching (including building of professional hides); support of related local products; reducing collision and electrocution by power lines – the latter through insulation of at least 250 dangerous power poles and bird diverters mounted at 2,5 km of power lines. 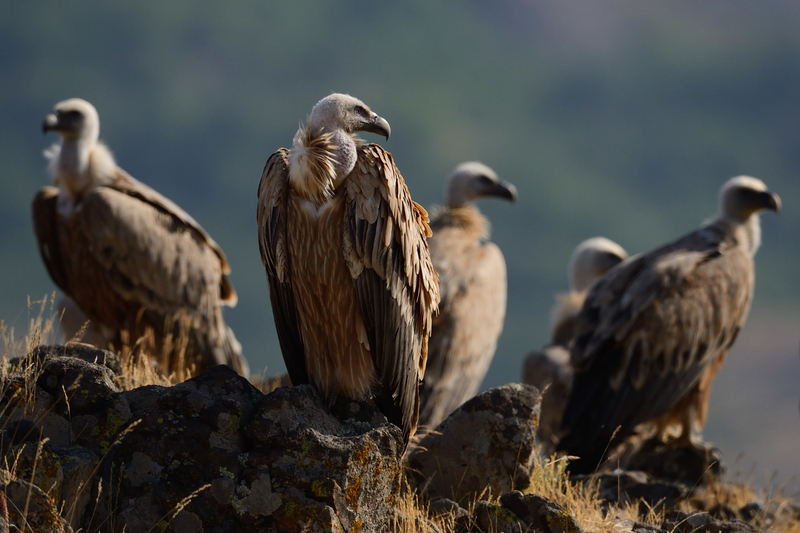 The project “Conservation of Black and Griffon vultures in the cross-border Rhodope Mountains” is funded by LIFE financial instrument of the European Community. Through LIFE Nature, the European Commission will provide 75% of in total 2,198,572 euro, which is an amount of 1,648,015 euro for the period 2016-2020. Rewilding Europe and its partner organisations will provide the remaining 25% of this budget as co-funding, partly through already secured funding from the Fondation Segré. 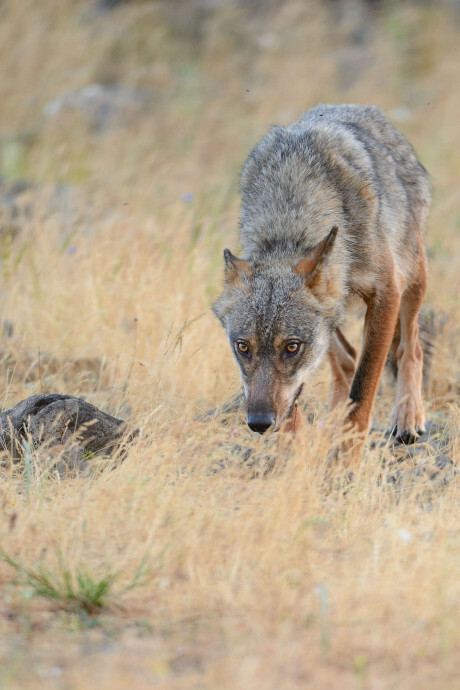 — ‘’Within the larger rewilding initiative in the Rhodope Mountains, we hope to restore a healthy food chain where ungulates, carnivores and scavengers are all part of the natural processes we would like to bring back in their full glory’’, says Frans Schepers, Managing Director of Rewilding Europe. ‘’This unique, transboundary cooperation of experts and organisations that have a long-standing experience brings a good base for success’’. 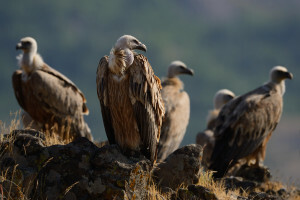 — ‘’With three different breeding vulture species, the Rhodope Mountains are among the key areas for the recovery of the vultures in Europe’’, explains Stoycho Stoychev, team leader of the Rewilding Rhodopes initiative. 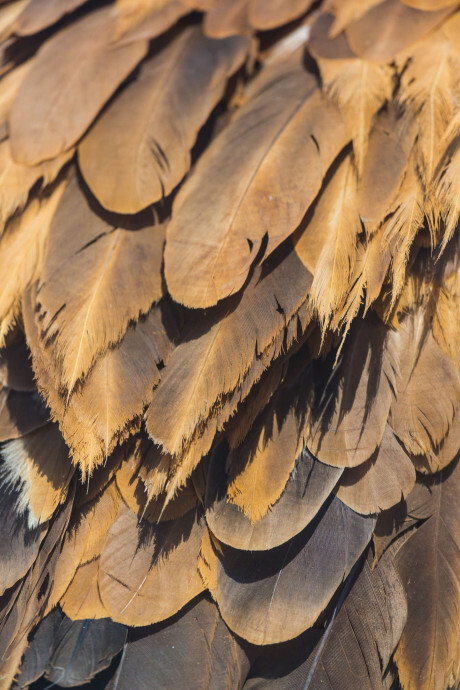 ‘’As vultures are at the top of the food chain, a healthy population will be a proof of successful conservation efforts, because vultures will depend on sufficient and clean carrion. 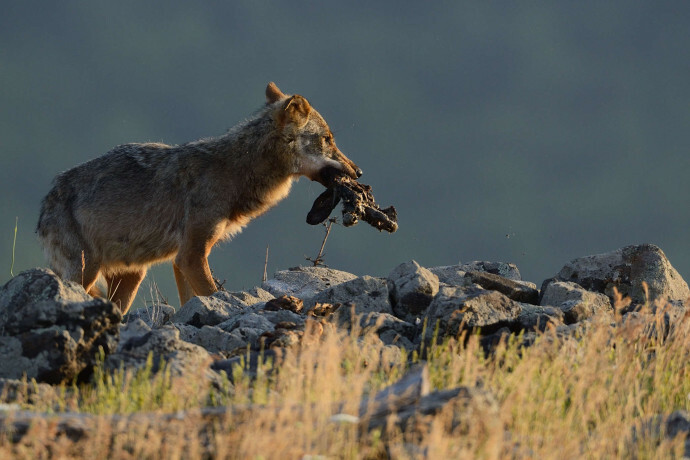 By enhancing populations of wild prey vultures will gradually become less dependent on domestic animals and artificial feeding, and feed more on wolf kills and animals that had a natural death, such as red, roe and fellow deer’’. 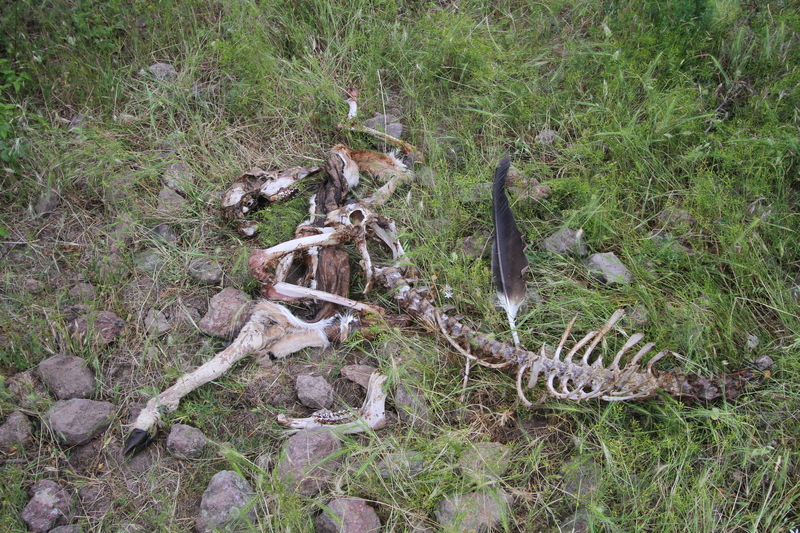 Remains of a fallow deer taken down by a wolf, and being scavenged by griffon vultures – proven by a primary feather that was dropped by the bird in Rhodope Mountains, Bulgaria. 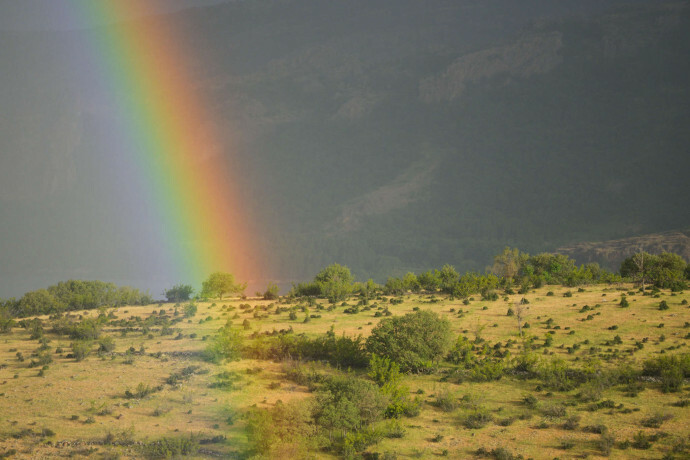 — Theodora Skartsi, leader of the WWF Greece team working in Dadia Forest adds: “This project is a logical continuation of the long term fruitful cooperation between Greek and Bulgarian teams working in the Rhodope Mountains. 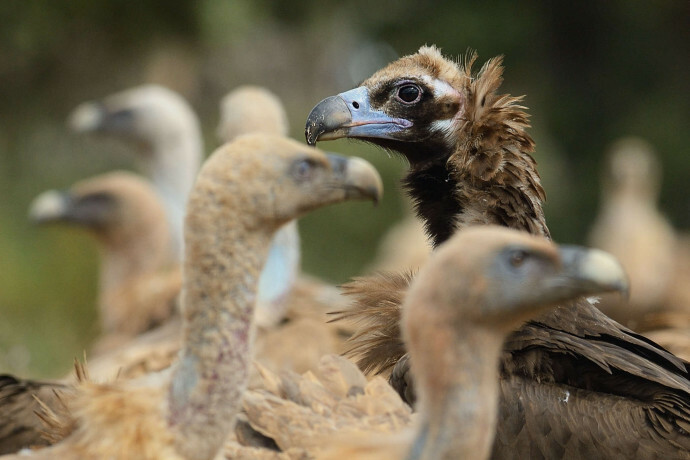 It will enable us to scale up our common work and to apply common vulture conservation activities such as mortality/threats monitoring within telemetry studies”. 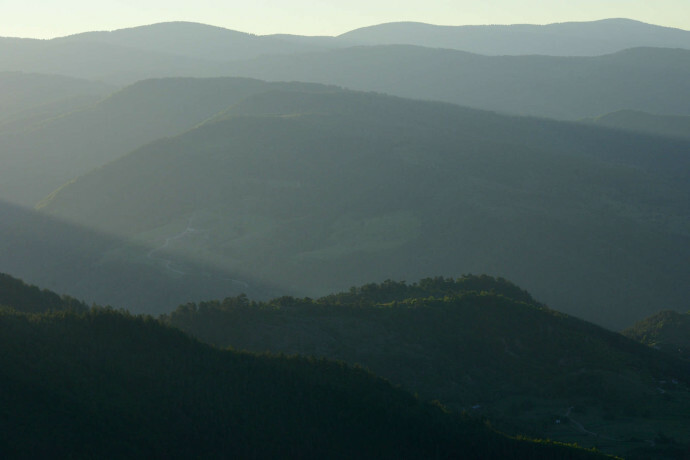 The cross-border Rhodope Mountains are a unique landscape, with a very high biodiversity and a number of important Natura 2000 sites. 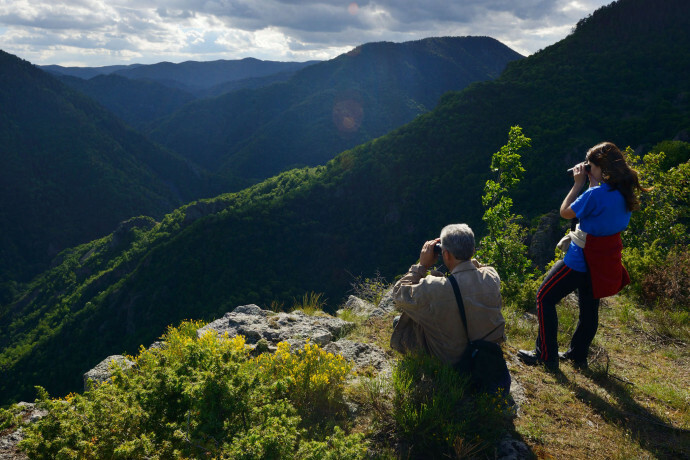 For Bulgaria the main Natura 2000 sites are Dobrostan, Byala Reka, Yazovir Ivailovgrad, Madzharovo, Studen Kladenets, Most Arda and Krumovitsa. On the Greek side, the main Natura 2000 sites are Notio Dasiko Symplegma Evrou, Koilada Kompsatou, Koilada Foliouri, Oreinos Evros-Koilada Dereiou and Dasos Dadias-Soufli. 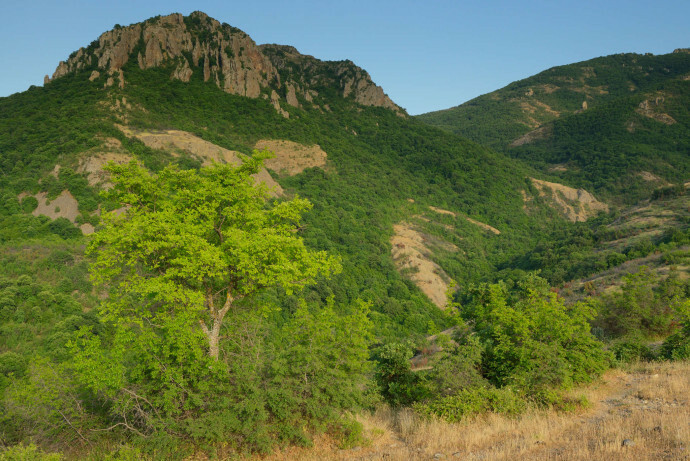 Like the vultures, the conservation partners in this project straddle both Bulgaria and Greece that have a long history of working in Rhodope Mountains. Black and griffon vultures that breed in the area have home ranges that cover both countries. 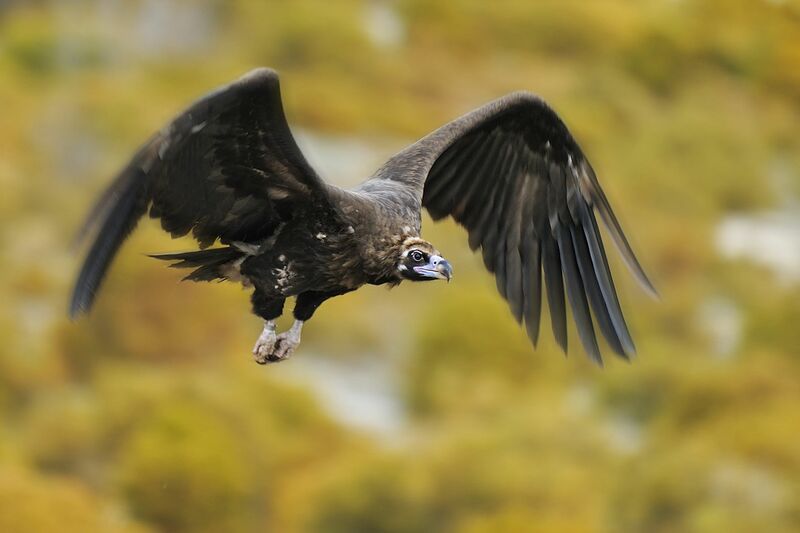 Black vultures that breed in Greece forage in Bulgaria and griffon vultures that breed in Bulgaria feed in Greece. 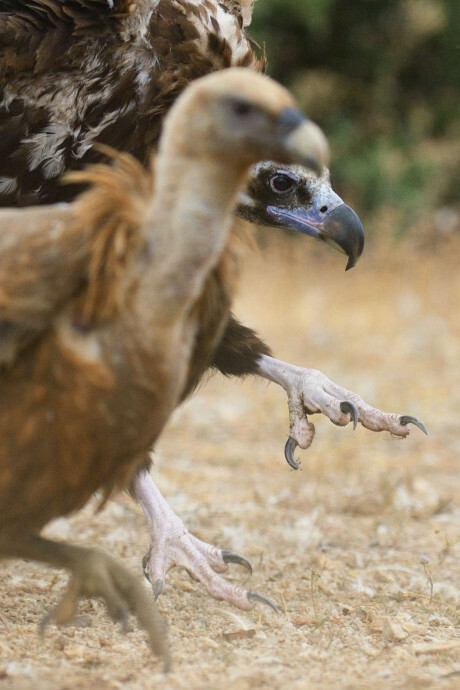 The whole area is intensively used by immature and non-breeding vultures, including griffon vultures from distinct population such as those in Croatia and Serbia. 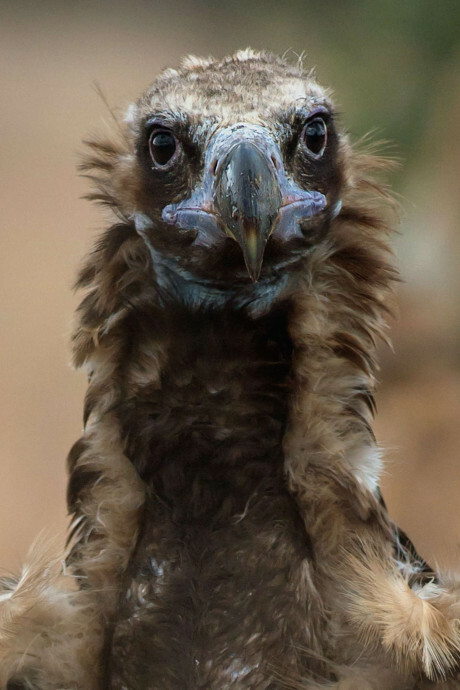 The Vulture Conservation Foundation ensures that the project is embedded well within the overall conservation work on this important species family in Europe. The only colony of the black vulture on the Balkans is located in the National Park of the Dadia-Soufli-Lefkimi forest (Dadia NP) in the Rhodope Mountains in Greece, about 25 km from the border with Bulgaria. At the end of the 60’s the population in Dadia NP was already low with 4-5 pairs and 26 individuals. During 1987-1993 the population increased from 6 pairs to 20 pairs, breeding only in Dadia NP. In the period 1994-2005 the population remained stable with around 19 pairs, while since 2006 it increased to around 28 pairs, some years even up to 35 breeding pairs. Common and widespread in the past, nowadays the black vulture is considered as an irregular breeder in Bulgaria. 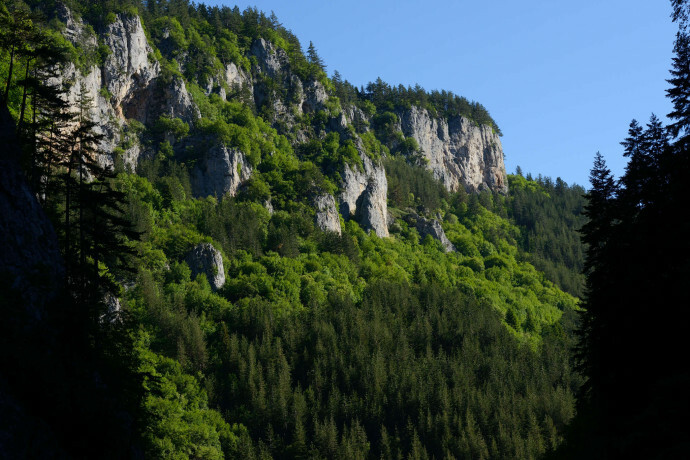 The last confirmed breeding occurred in 1993 in the Studen Kladenets reserve in the Eastern Rhodopes, considered as the last known breeding area in Bulgaria. 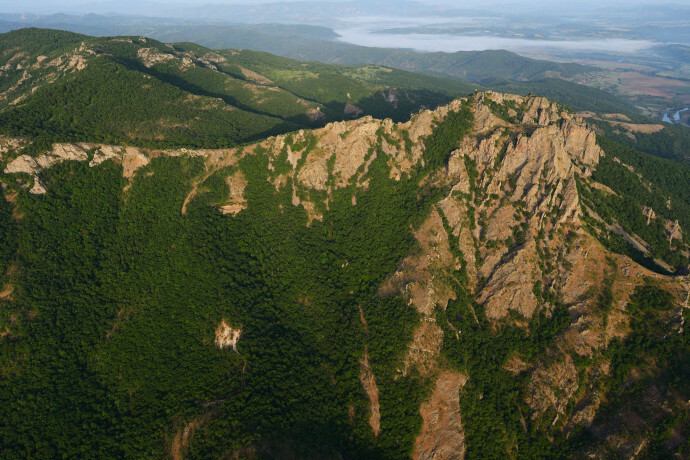 Currently, the Bulgarian part of the Eastern Rhodopes is an important part of the home range of the black vultures breeding in Dadia NP, but also a possible site where immature birds may settle and eventually breed. The griffon vulture was a numerous and widespread species in Bulgaria in the beginning of the 20th century. However, within a short period of only some decades until the middle of the century, the species became almost extinct across its whole range; mainly due to poisoning and deliberate persecution. Between 1960 and 1970 the last known breeding colonies of the griffon vulture disappeared and some authors considered the species as extinct in Bulgaria. Griffon vulture (Gyps fulvus), Madzharovo, Rhodope Mountains, Bulgaria. 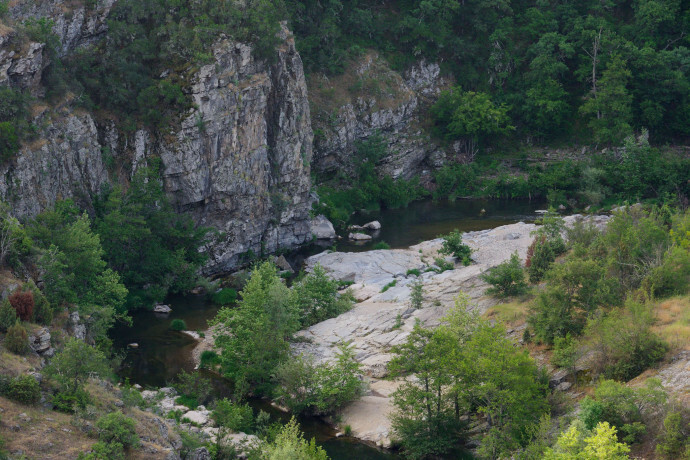 The species was rediscovered in 1978 in the Eastern Rhodopes – 28 birds and 1 breeding pair were found. Significant conservation efforts of the Bulgarian Society for the Protection of Birds (BSPB) since 1989 led to the slow increase of this population. Within 25 years, the population here reached 70 pairs in 2014 , while 161 birds where counted during a roost count in November 2012. The griffon vulture population in Eastern Rhodopes is the only native population in Bulgaria and the sustainability of the increase is still uncertain and fragile. In Greece, the griffon vulture was considered as the most common vulture species in the past. In the 80’s, the population was estimated at 400-450 breeding pairs, 200 of which were in Crete. While in Crete it is stable or increasing, the continental Greek population has collapsed. After 1990, 13-15 colonies disappeared and at least a 60% decrease in the former ranger was registered, mainly due to poisoning. Nowadays, only about 20-30 pairs in five small colonies remain in Greece, and the population is still decreasing. 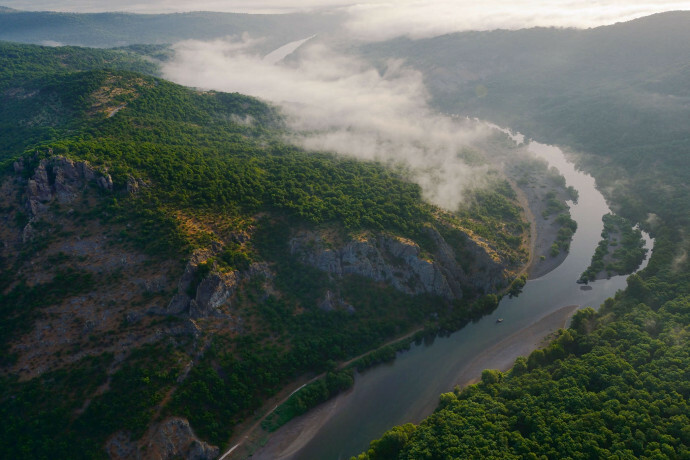 The Greek part of the Rhodope Mountains, with the foothills in the Evros province, nowadays harbours the most important stronghold of the griffon vulture in continental Greece of 10-15 pairs annually. 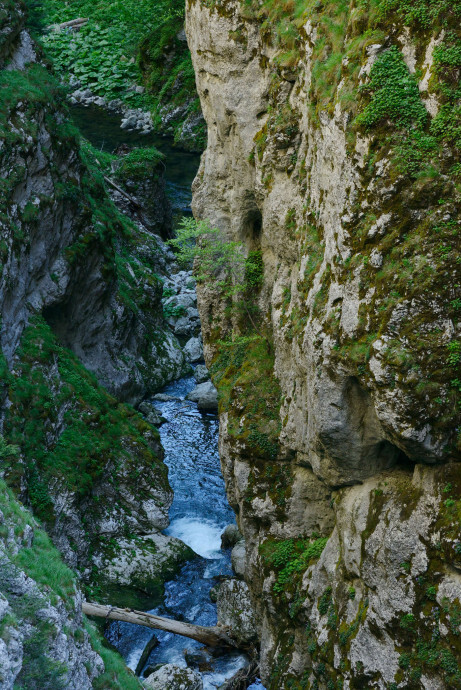 A canyon on the Arda River, in the rewilding area of the Bulgarian Rhodope Mountains.